Esplanade Park is the most popular park in Helsinki. Here like to walk both tourists and residents of Helsinki. 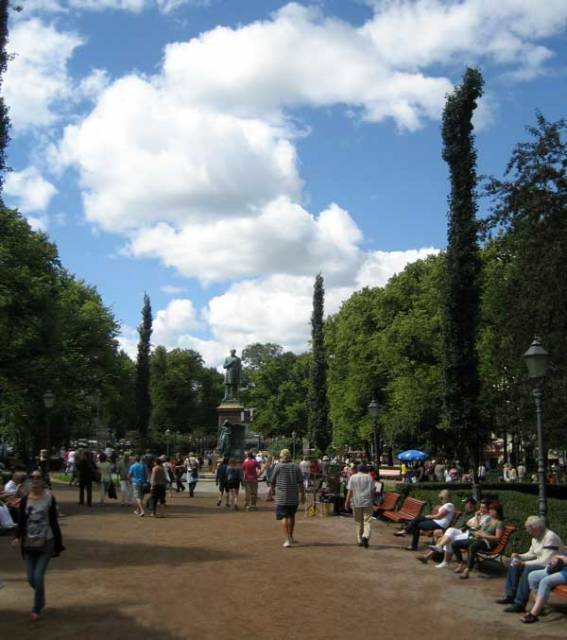 Next to the Esplanade Park is located many attractions: Helsinki Market Square, Senate Square, Passenger Port of Helsinki. Near the park are located many popular places for shopping.